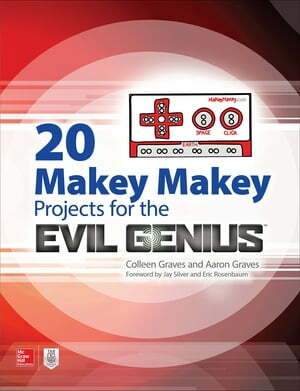 Collins Booksellers - 20 Makey Makey Projects for the Evil Genius by Aaron Graves & Colleen Graves, 9781259860478. Buy this book online. This hands-on TAB guide is filled with DIY projects that show readers, step-by-step, how to start creating and making cool inventions with the Makey Makey invention kit. Each project features easy-to-follow, fully-illustrated instructions and detailed photographs of the finished gadget. You will see how to apply these skills and start building your own Makey Makey projects.